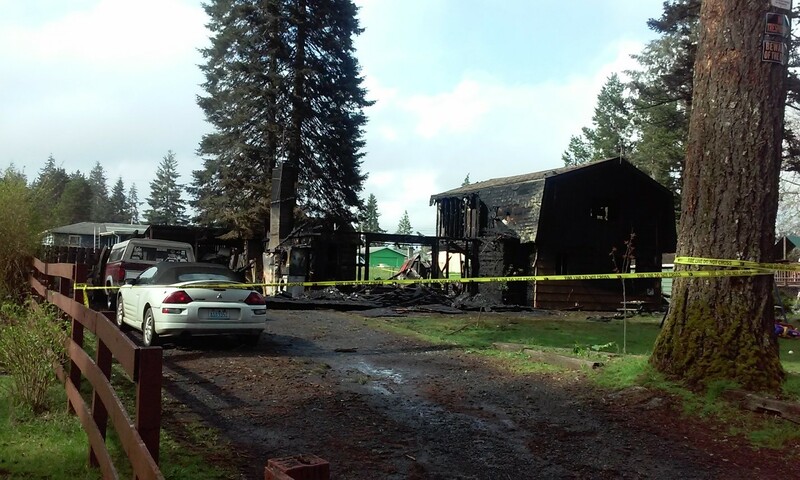 Fire destroyed a house in the County portion of West G Street in Shelton Saturday morning. According to a news release, Mason County Fire District 11 firefighters responded to 400 block about 5:45 AM. When fire crews arrived, they found a two-story house fully involved. Crews were forced to fight the fire from the outside. Two adults and three children were in the home when the blaze started. All were able to escape the house safely. No injuries were reported. The Mason County Fire Marshall’s office is investigating the cause of the fire. Crews from Fire Districts 4, 16 & Central Mason Fire & EMS assisted with the fire, along with Shelton Police and Mason County Sheriff’s Deputies. The Red Cross is assisting the family which also includes three other adults and an infant. If you would like to help contact the Red Cross. A GoFundMe page has also been set up: https://www.gofundme.com/3omnydk.